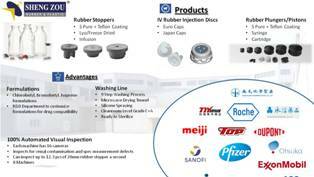 We produce high-quality pharmaceutical packaging rubber closures to support a variety of Pharmaceutical, Bio-Tech, and Generic Medicinal industries worldwide. Zhao Cang Zhou (趙滄洲) started the company in 1970. Had a joint technology venture with Japan Daikyo Seiko in 1973 and incurred more than 45+ years of R&D and Engineering experience.